Free watercolor seascape lesson by Joe Cartwright. 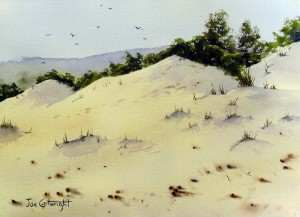 Watercolor sand dunes painting demonstration. Step by step tutorial, demonstration and tips.